The firm is urging business leaders and consumer champions to join 4GBritain - a campaign calling on the government "to do whatever is necessary to move forward" with the roll-out. 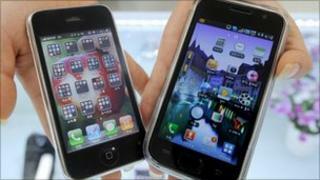 The network operator's chief executive said the UK needed to catch up. The sale of the 4G spectrum has been delayed by operators fighting over how to distribute the airwaves. Experts predict that the telecoms regulator Ofcom may have to go to court before the auction goes ahead. Everything Everywhere (EE) - the merger between T-Mobile and Orange - has kickstarted the campaign, but potential members are promised that they will be treated as "an equal partner", according to a document seen by the BBC. "This is a call for attention to be brought to this issue, to stop battling in the background and let us catch up with the other 34 countries that have already launched 4G services," said a spokeswoman for EE. Olaf Swantee, chief executive of EE since September, told the BBC that he was surprised how far behind the UK was. "The UK had struck me as a place where mobile technology is deployed first and yet the infrastructure is behind Germany, Scandinavia and the US. I want to do something about this issue," he told the BBC. According to Matthew Howett, of analysts Ovum, some experts are "a bit sceptical" about its campaign, because EE has its own 4G agenda. It is hoping to be the first to roll out 4G services this year ahead of the auction. It has asked Ofcom if it can reuse its 1800MHz spectrum for this purpose. Ofcom is currently considering the proposal. Whose fault is it that things have moved so slowly? Well speak to anyone at Ofcom and they will point to the constant threat of legal action from the mobile operators. Even now, we can't be sure that the auction won't be further delayed by litigation from one network or another which doesn't like the rules of the game. Rival Vodafone has challenged the proposals, saying it was not in consumers' interests to give one firm such a head start. The spectrum auction process has been dogged by litigation, with T-Mobile one of the first companies to take legal action back in 2008 - unhappy at proposals then to to use the 2.6GHz spectrum for 4G. Ofcom now plans to auction off two spectrum bands, 800MHz - the airwaves freed up by the digital TV switchover - and the 2.6GHz frequency. Both of these are of great value to mobile operators because they offer good in-building penetration. Because they are so sought after, mobile network operators have battled bitterly to ensure they get as much of it as possible. Both O2 and Vodafone have threatened to take Ofcom to court if the auction goes ahead in its present form, unhappy that it has set aside a portion of the spectrum for the 3 network. Historically 3 has far less spectrum than other operators, but the regulator is keen that it remain in the market to ensure healthy competition for consumers services and prices. In response to EE's campaign, the regulator issued its most strongly worded call yet for the in-fighting to stop. "Delays have been caused by legal challenges and threats of future litigation from various companies as they seek to defend their own commercial positions. While we recognise the need for companies to protect the interests of their shareholders, our role is to promote the interests of consumers," said an Ofcom spokesman. Mr Howett said it shows that Ofcom is up for the fight. "It is prepared for litigation and fully expects it but if it doesn't win the whole process goes back to the drawing board and could take years to fix," he said.